WobiSobi: No Sew, Tee-Shirt Beach Cover up #2, DIY. 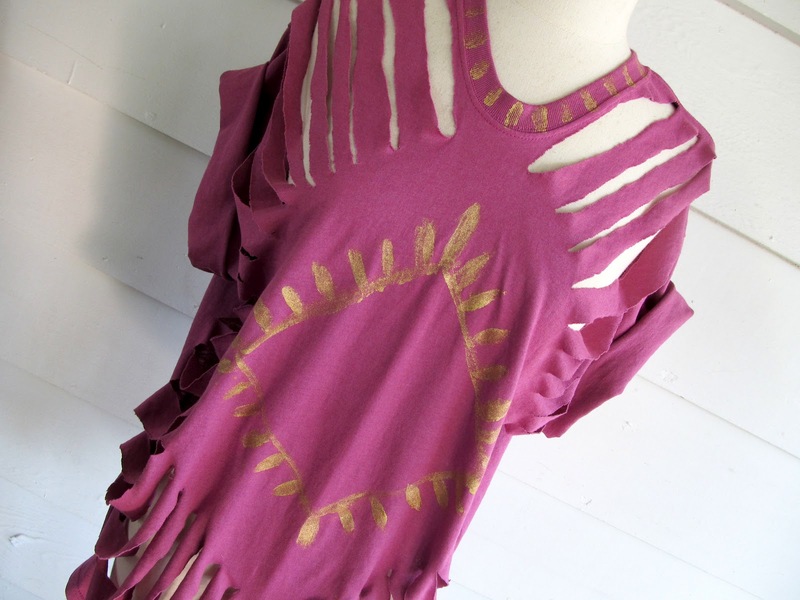 No Sew, Tee-Shirt Beach Cover up #2, DIY. 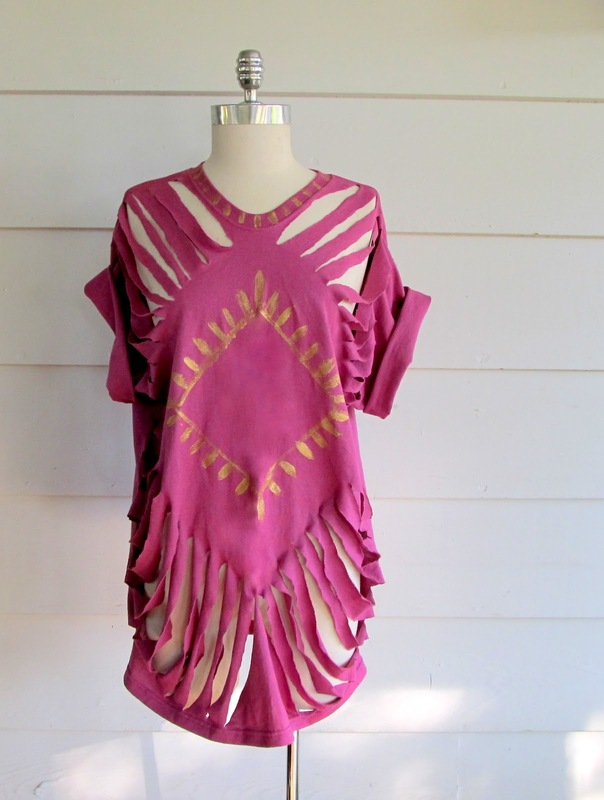 The first cover up was a little more revealing. 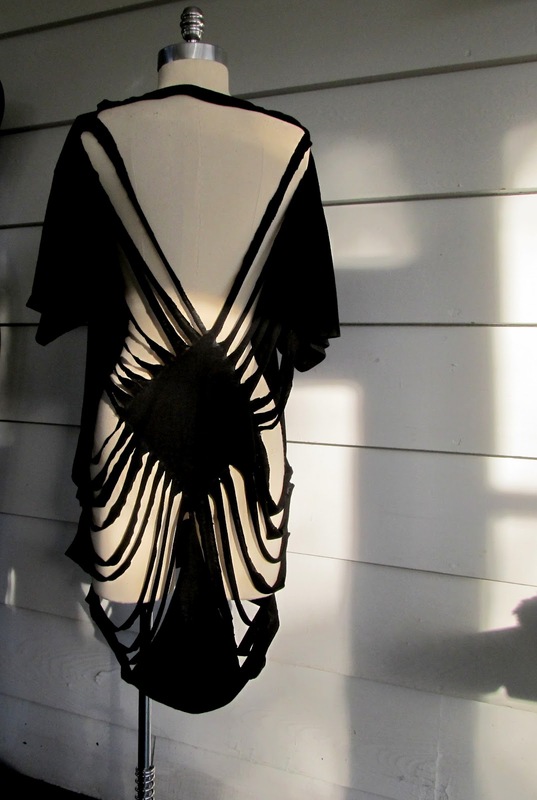 and the design would be in the front. 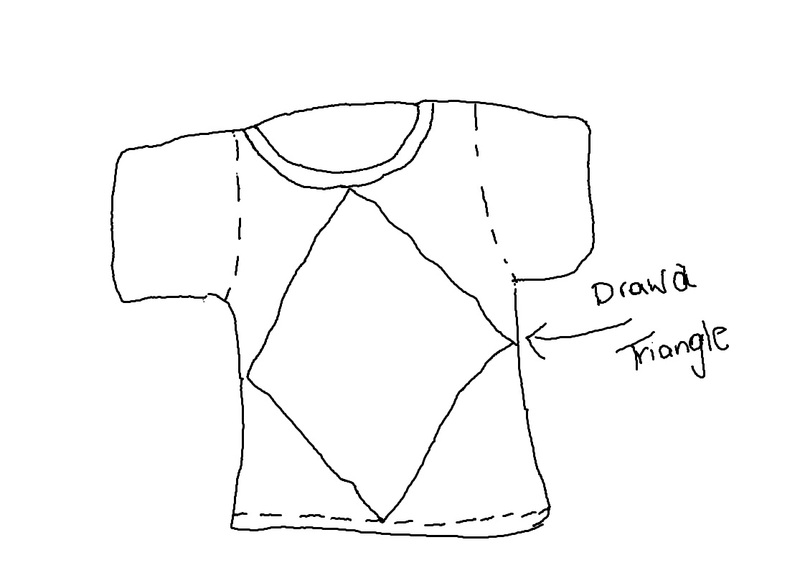 Draw a triangle on the center of your shirt. You can always draw a triangle on paper, cut it out and then lay it on the shirt and trace around it with chalk. Make it any size you want, the bigger the triangle the more skin it covers. draw lines like in the diagram above. Make sure you don't go past the sleeve seam or the bottom seam. 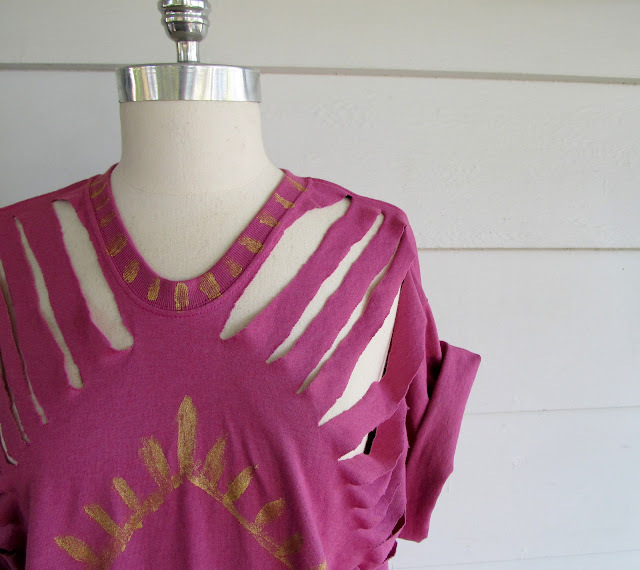 Then carefully cut on the lines~ on the front part of the shirt only. and around the collar with gold fabric paint. Changing things up, from back to front. 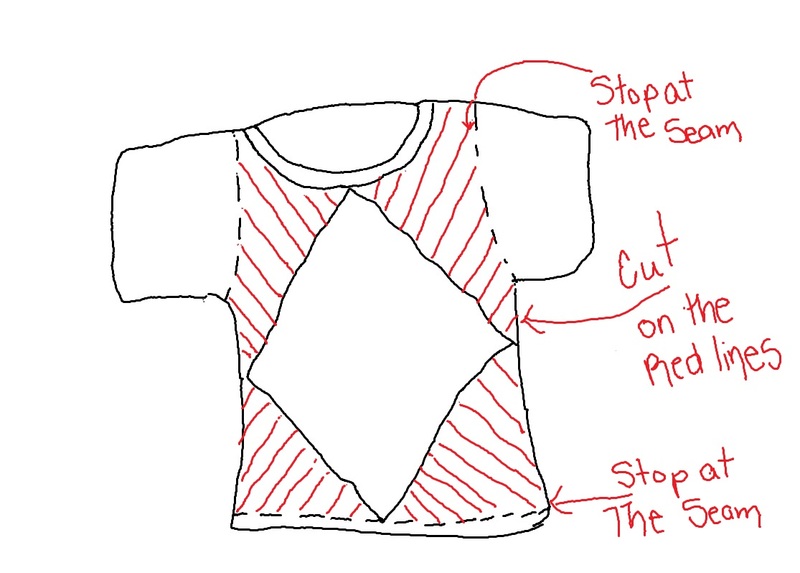 Great blog, great shirts, great ideas :) I would just like to point out that it's a diamond on the front of the shirt, not a triangle. Or it could be two triangles. You are so right!!! It is a diamond:). 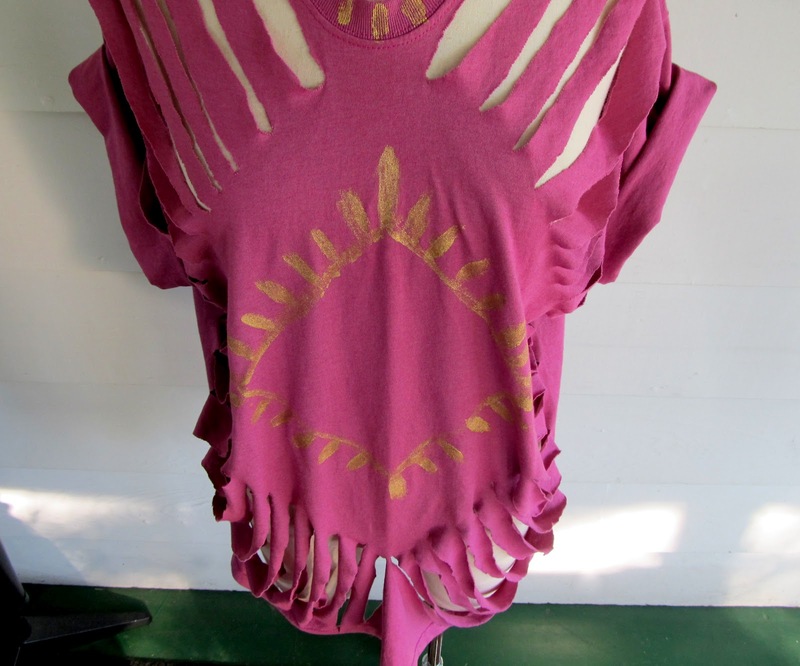 This is a beautiful cutting design and appears to fall nicely!!! Thank you for sharing! Sunday with Sailor Sam on Monday; Happy Birthday! Sunday with Sailor Sam. A fun week. 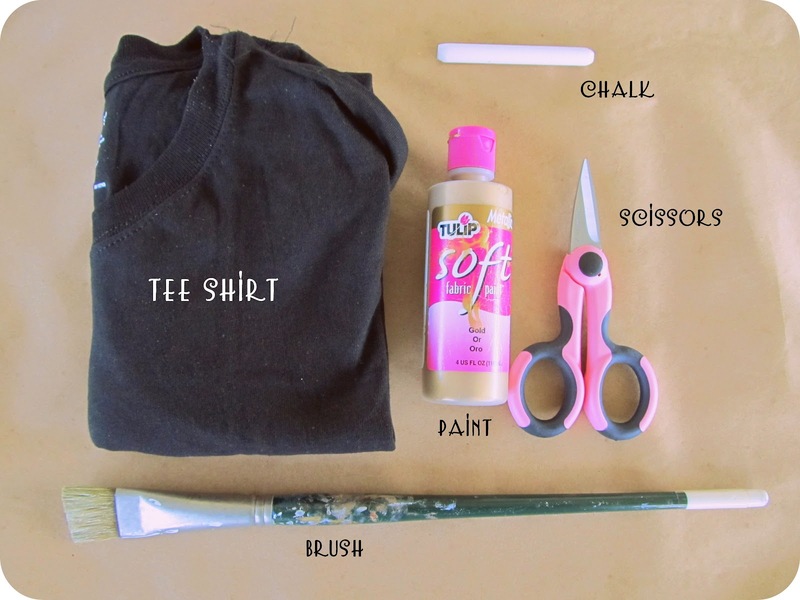 No Sew,Tee-Shirt Beach Cover Up, DIY.